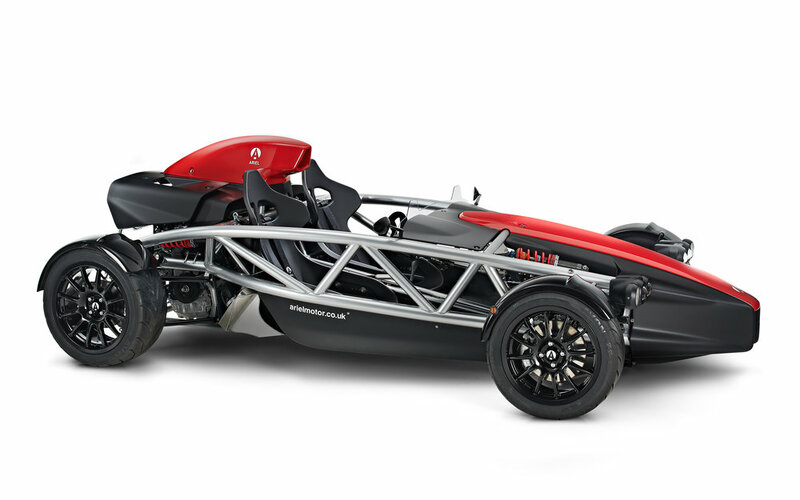 Ariel Motor Company announces the launch of the latest evolution of the Ariel Atom, now in its fourth generation, the all-new Atom 4. Designed by the in-house Ariel team, the Atom 4 continues the now iconic design but is an entirely new car from the ground-up. Building on the learning from previous generations, customer feedback, Ariel assembly technicians and significant R&D by Ariel in recent years, the Atom 4 preserves the essential Ariel qualities but progresses the design and engineering further into the most powerful and able Atom yet. Atom 4 features the latest Honda Type R turbo engine giving 320bhp as standard, all-new chassis, suspension, steering and brakes, all-new bodywork with significant aerodynamic improvements, new seating and instrumentation together with a host of design improvements and changes. With an open design brief to improve the car wherever possible, the Atom 4 represents another big step forward in the evolution of the Atom. Atom 4 will continue to be made in low volume by Ariel at its factory near Crewkerne, Somerset in quantities of around 100 cars per year alongside the Ariel Nomad and Ariel Ace motorbike. Each car will be built, as they are now, by one technician and to order for each individual customer. Having earned its reputation as the ‘Savile Row of the Automotive World’ Ariel has a tailor-made approach to building vehicles that isn’t possible at high volume and reflects the opportunities achievable only in low volume production. Atom 4 will also be made, under license, by Ariel North America based in South Boston, Virginia serving North and South American markets. The cars will have identical specifications, combining the best high and low volume engineering, materials, and production values together with an option list and bespoke build system that gives each customer exactly the car they need. 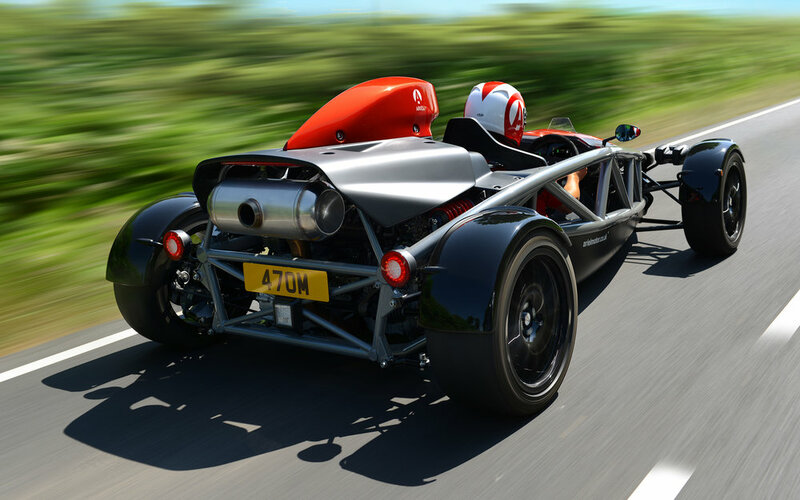 From fun sports car to track weapon, the Atom 4 will deliver. The car will also be the first Ariel vehicle to undergo full European Small Series Type Approval (ESSTA) and ADR (Australian Design Rules) testing, to enable Atom 4 to be sold throughout Europe and Australasia with a Certificate of Conformity from 2019. Said Tom Siebert, Director of Ariel Motor Company: ‘Though we have had a small European presence over the years, there is an enormous demand for our vehicles in this market and elsewhere in the world. British-built, low volume vehicles appeal on many different levels and Type Approval is key to our future commitment to service those markets effectively. As well as our existing network of dealers, we will appoint new key agents in various countries, to make sure that as many potential customers have access to Atom 4 as possible’. As one of the very oldest names in automotive history, Ariel was started in 1870 by James Starley, also inventor of the differential and rack-and-pinion steering, with an Ordinary (Penny-Farthing) bicycle. As the first steel-framed production bicycle, the Ariel also featured steering and patented spoked wheels, revolutionizing the early transport industry. With the rapid development of vehicles in the 1890s and early 1900s, Ariel advanced through De Dion-engined tricycles and Quadricycles as well as motorcycles in a fast-changing industry. As a manufacturer of early Grand Prix cars, Ariel was an entrant in the first-ever race at Brooklands in 1907, winning at the second event the following weekend. From the late 1900s, the company centered its attention on motorcycle production with occasional excursions into 4 wheel vehicles. Best known for the ground-breaking Ariel Square 4, multiple International Six Day Trial winning HT5 and pressed steel frame Arrow, the company became one of the great names of the British motorcycle industry. Ariel was revived in 1999 with the launch of the Ariel Atom, featuring the now famous exposed spaceframe powered by a Rover K Series engine. A major redesign in 2003 included the introduction of the Honda K20A Type R engine and saw the start of Ariel’s relationship with Honda, which continued into the Ariel Ace motorbike and Ariel Nomad. 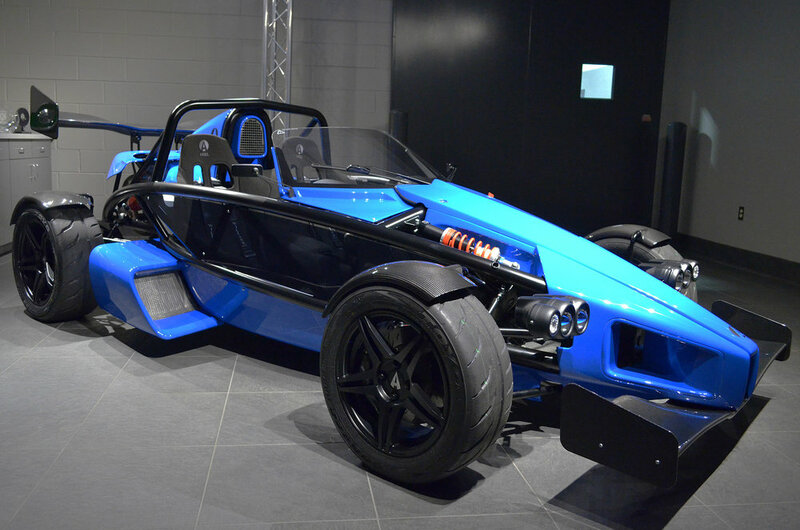 A constant development of the car saw the Atom 3 introduced in 2007, with the Honda K20Z Type R engine, and the Atom 3.5 in 2013 with revised chassis and suspension. Over 1800 Ariel Atoms have been made since the first production cars were delivered in 2000, making Atom ownership an exclusive but growing club. As a forward-thinking company, Ariel will continue to evolve the Atom, but the soul of the Atom will always be attainable, rewarding performance and sheer driving pleasure. The basis of Atom 4 is an all-new tubular chassis, designed in-house by the Ariel engineering and design team, with much learning coming from the Titanium Chassis R&D project of 2014. Featuring larger diameter main and diagonal tubes than previous Atoms, as well as many detailed additions, each tube within the chassis has been analyzed and optimized to give a light but extraordinarily strong structure. The torsional stiffness has been increased by 15% compared to the previous generation Atom 3.5. The combination of sophisticated CAD (Computer Aided Design) and FEA (Finite Element Analysis) design work resulting in a hand-made, bronze welded structure reflects Ariel’s approach to design and manufacture, combining new technology with exceptional craftsmanship. The chassis gives more interior space and legroom than previously and has been designed and proven to well exceed the demands of a full frontal 50kph barrier impact, seat belt, and rear impact test. Forming a driver/passenger safety cell the Atom chassis offers the highest degree of protection in its class. Chassis are treated to a three-stage finishing process of phosphating, powder coating to color choice and powder coating lacquer. The 1996cc direct injection turbocharged engine, producing 320bhp as standard in the Atom – 10bhp more than the previous supercharged Atom – gives the Atom 4 more power than any previous standard model. An astonishing 420Nm of torque is a massive 75% increase over a standard Atom 3.5 and a 35% increase over a supercharged Atom 3.5. Mapped by Ariel using an MBE ECU (Electronic Control Unit) developed specifically for the car will allow the Atom 4 to meet Euro Vl emissions standards, a critical factor of the EUSSTA testing. Optional Launch and Traction Control is a new feature built into the electronics of Atom 4, derived from the Atom V8. Atom 4 also features the ability to adjust and optimize turbo boost levels for different road and track conditions. An all-new exhaust system, again designed to meet EUSSTA standards as well as racetrack noise levels, features a ceramic honeycomb, high palladium/rhodium content catalytic converter, 3”/75mm diameter stainless system into a twin outlet, 8.4”/215mm stainless silencer. A high flow single outlet system is an option as is a de-cat system for use on the track. A larger capacity fuel tank sits on the left-hand side of the car, improving range on road and on track, giving a road range of some 300 miles. Retaining the inboard, pushrod operated damper system the Atom 4 features all new suspension geometry. Based on 18 years of continual development from Ariel and design input from suspension guru Richard Hurdwell, the new geometry includes revised inboard and outboard points plus anti-squat and anti-dive to reduce unnecessary body roll and weight transfer, keeping as much tire contact as possible at all times. All new Bilstein dampers sit inboard operated by pushrods via new geometry bellcranks, with an optional semi-active Ohlins package under development for production. An improved turning circle has also been achieved with the new suspension and steering rack geometry to aid town driving and parking. Moving up in size the Atom 4 sits on 7Jx16” front wheels and 9Jx17” rear wheels. Multi-spoke alloy wheels are standard fitment but, in a first for Ariel, the Atom 4 has the option of full carbon wheels. These represent a weight saving of nearly 50% over an alloy wheel and a total reduction of over 16 kilos. The wheels, made to Ariel specification by BST in Johannesburg (who also make the carbon wheels for the Ariel Ace), significantly reduce unsprung weight together with new aluminum uprights, which alone give a 50% weight saving over the previous car. Tires are 195/50R16 front and 255/40ZR17 rear. In a new exclusive partnership with Avon Tyres, the Atom will be fitted with high-performance Avon ZZR tires. With recent changes in tire law and noise, it is important that the highest performing tires are available to the Atom. The combination of new suspension and larger section Avon tires contribute to the Atom 4 having more mechanical grip than any previous Atom. Not only is straight line performance improved for the Atom 4 but cornering speed moves to another level also. The all-new standard braking system increases in size, due to the higher power of Atom 4, with 278mm vented discs and cast two-piston caliper on the front with 253mm discs on the rear and integrated handbrake caliper. An optional upgrade is to a full AP Racing configuration of 290mm vented discs front and rear with alloy 4 piston calipers. A variety of brake pads are available dependent on the use of the car. An all-aluminum pedal box with brake, clutch and throttle pedal is supplemented by the optional cockpit adjustable brake bias. Goodridge stainless hose for both brake and clutch hydraulic systems is standard fitment. The Atom 4 features an all-new look and while recognizably an Atom, every panel on the car is new. One of the fundamental design principles on Atom 4 was aerodynamic improvement, control of airflow and overall balance of the car. Working in partnership with TotalSim, CFD (Computational Fluid Dynamics) experts in Brackley, and in keeping with the original Ariel ‘Form Follows Function’ philosophy, major aerodynamic improvements have been made in every area of the car. Drag has been reduced, downforce increased and mass flow rate to radiator, intercooler and air intakes greatly increased. A shift in aero-balance has been achieved to give neutral handling and more precise control at the limit. Immediately noticeable is the disappearance of the familiar central Atom roll hoop, now enclosed under the air intake bodywork, which itself has been reduced in size. This has greatly improved air passing over the rear bodywork and controls airspeed going through the ram-air system. Similarly, the new nose cone has smaller openings and internal ducting to reduce drag and decelerate airspeed, maximizing efficiency through the front mounted radiator. The intercooler mounted behind the tub, in a low-pressure area, keeps the unit close to the engine and is also supplied with air from under the car, optimizing cooling efficiency. The trademark Atom ‘aero screen’ has been further refined and now reaches all the way across the car, reducing ‘helmet lift’ for the occupants, directing air to the engine intake and, with just this aero fence, generating 100 Newtons of downforce. The mudguards on all four wheels also feature an aero device to give downforce directly to tires negating any lift from mudguards. 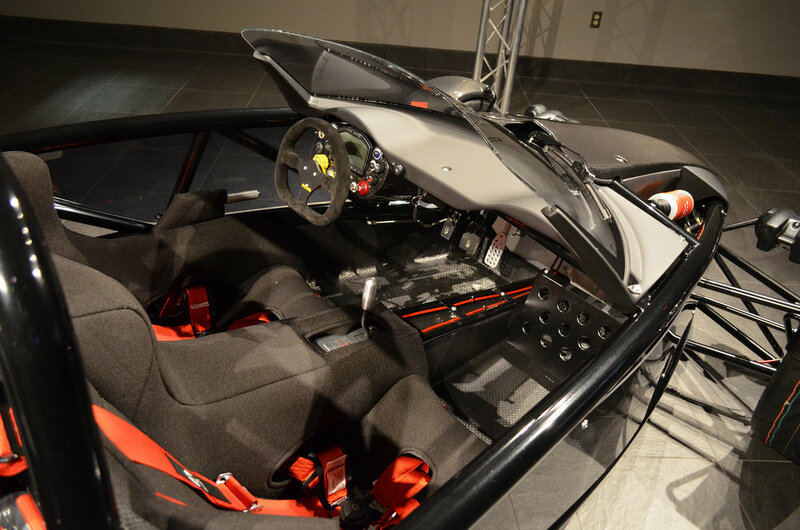 Bodywork will be available in full carbon for many of the body parts, reinforcing the ‘Less = More’ Ariel philosophy of performance through lightweight. All exterior lighting has been revised with LED indicators, stop/tail/fog and reverse lights, daytime running lamps and high-performance halogen headlights to conform to EUSSTA regulations. Ambient light sensors allow auto light functionality. Additional storage space has been included under the removable front body cover, extending the cubby box, together with access to the new hydraulic system. Individually adjustable single seats replace the twin seat unit of previous Atoms and a comprehensive study into ergonomics has subtly repositioned pedals, steering wheel, and instruments. Already a comfortable space for most drivers, an additional 50mm of cabin length and 20mm width has been added to accommodate the very widest range of users. The new switch cluster, again designed to EUSSTA standards, features all controls within finger reach of the 310mm suede steering wheel including lighting, indicators, adjustable traction and launch controls. The central instruments, with full-color TFT (Thin-Film-Transistor) screen made for the Atom 4 by AIM, can be scrolled through multiple menus for the road, track or set up use. The instruments also have gear position and shift lights as standard plus provision for real-time race track data-logging. Using the AIM PDM (Power Distribution Management) system, communicating directly with the ECU via CAN (Controller Area Network), the vehicle wiring harness and fuse box have been simplified and therefore light-weighted. Atom 4 is the fastest standard Atom produced so far. With the dramatic increase in torque, as well as 320bhp as standard, both standing start and in gear acceleration times are the fastest yet for a standard Atom: 0-60mph in 2.8 seconds, 0-100mph in 6.8 seconds retain the Atom’s giant-killing performance. Thanks Cars 'N Copters on the Coast for an amazing event. ***From Forman Motorworks***Look outside to see the jets. Stay inside to see the rocket! One of only 10 limited edition Atom 3R 2.0L Supercharged models on display in the Ross Aviation Scottsdale FBO terminal this week. Passing though in the near future? Contact us for an appointment at our Scottsdale office. We’d love to show you some of our exclusive new offerings. 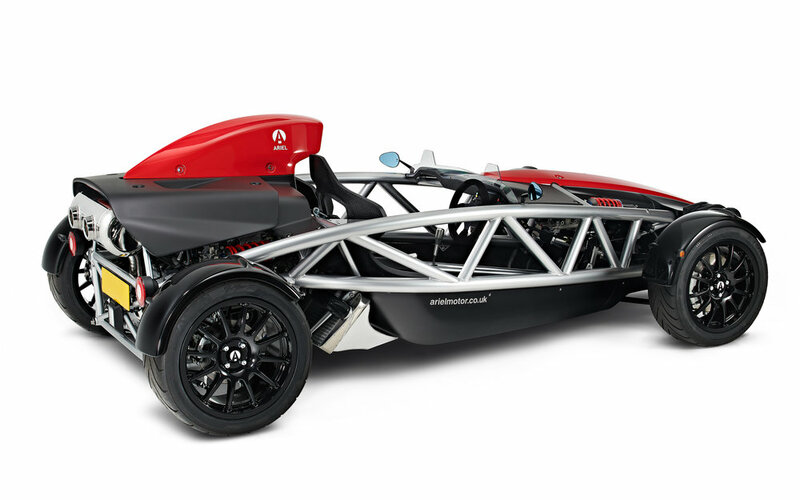 Andy Pilgrim and Automobile Magazine got their hands on the Ariel Atom 3S! 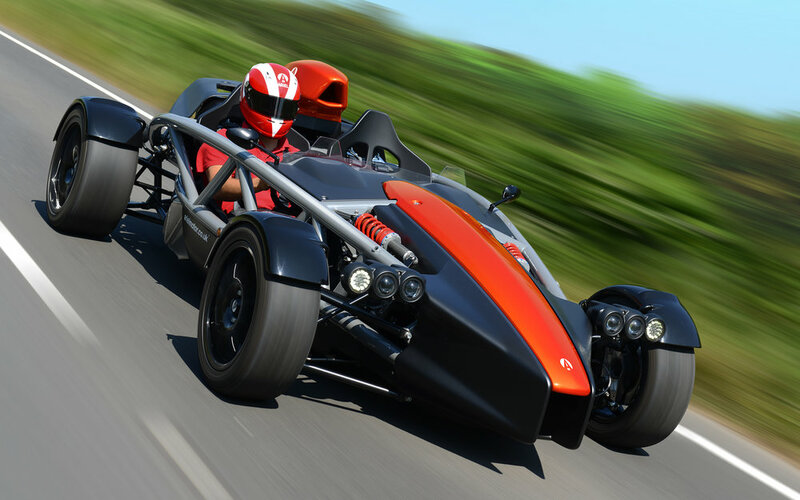 "The Ariel Atom 3S is a rather special vehicle. It certainly isn’t cheap, but I suspect the folks seriously looking at purchasing one aren’t worried about cost. The 3S is rewarding to drive at any speed and let’s not forget the incredible ear candy. I received more attention while driving it and more questions while parked than with any other vehicle I’ve driven; nothing even comes close. You buy a 3S because you want to have a ridiculously fun experience, which it provides in shovel loads. Expensive? No argument. Worth it? Heck yes." Check out one of our most recent completions. This Atom 3S is outfitted with a Guards Red Premium Color Package, Gloss Black Custom Chassis Color, Gloss Black Custom Wheel Color, Carbon Fiber Wings/Fenders/Dash Surround, Red Embroidered Seat Logos, and an LED Rain Light. 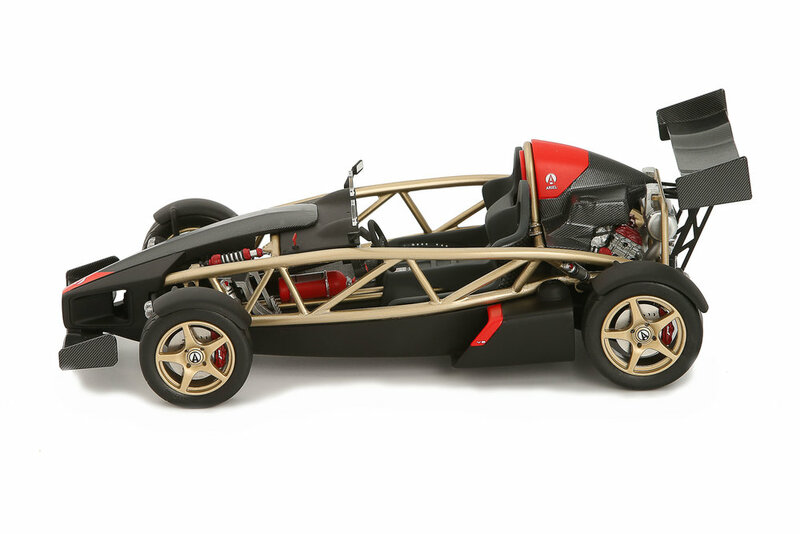 Contact Us to discuss your Ariel Atom build. Ariel Atom 3S on Display in Florida! Known for it's sunny days and year-round warm temperatures, Florida is the perfect stomping ground for the Ariel model line. With several owners already taking advantage of the endless driving season, we are pleased to have an authorized Sales and Service point in the state. This allows easier access to one of the most exotic driving experiences available, along with providing the customer service our clients expect. Join us this weekend for a "meet & greet" of the Ariel Atom 3S at Two Wheels World in Pompano Beach, FL. We love getting custom color requests on builds, this is one of the perks of having your Ariel built to your specs! This Atom 3S was spec'd out by Forman MotorWorks for a West Coast customer and the end result is beautiful. The special order "Prism Silver" has an holographic effect when viewed from different angles which makes for an even wilder ownership experience. A Week Filled with Racing and Podium Finishes for the Ariel Atom! 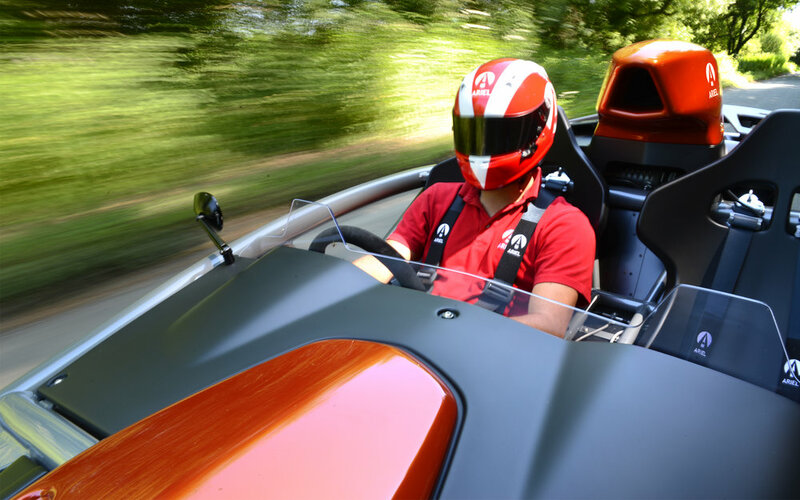 The Ariel Atom is known for its performance on and off the track. This week was no different as the platform was pitted against some of its toughest rivals yet. In two different events, the One Lap of America and Canadian Automobile Sports Club - 3hr Enduro, the Ariel Atom took home a 3rd and 2nd place finish respectively. Podium finish for the Brock Yates Memorial Fund Ariel Atom in the 2017 Tire Rack One Lap of America! 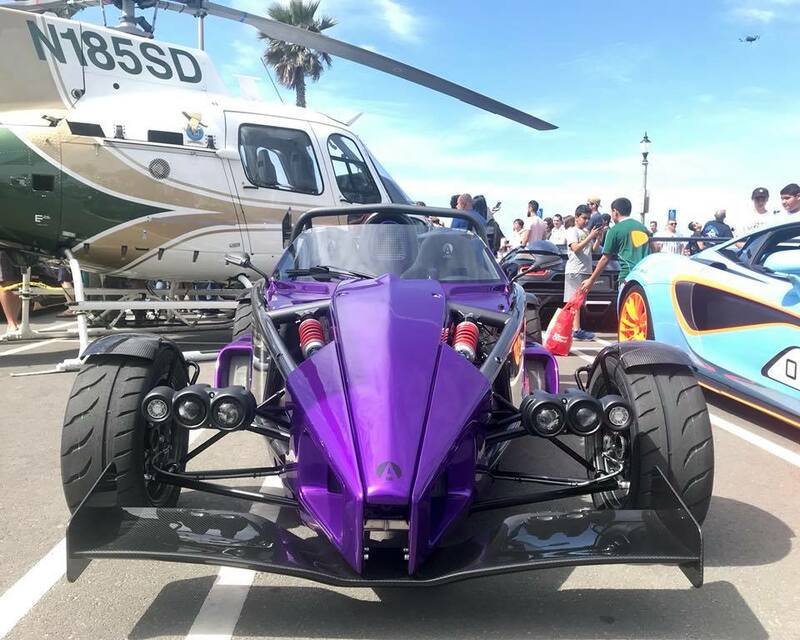 Placing this high in a competition, against 60+ of the highest modified road cars in the country, not only speaks volumes of the Ariel Atom but also the skill level of the drivers. Huge shoutout to Jack and Victor for your talented driving and sticking through one of the toughest motorsports events in the world. Highlights include the fastest lap/run time at Road Atlanta along with multiple other 2nd and 3rd place finishes, congratulations to everyone involved! 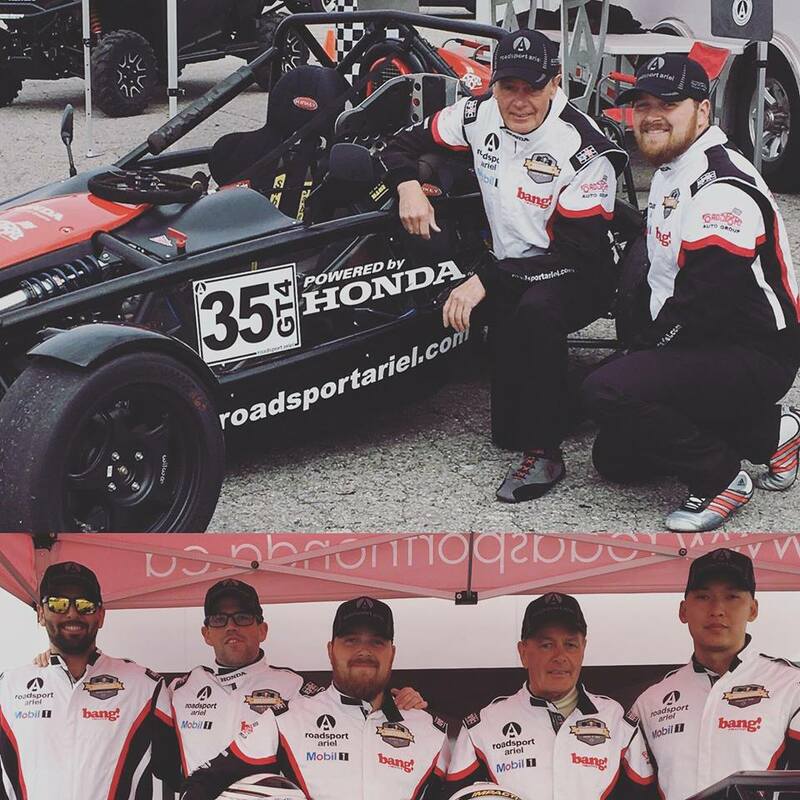 Roadsport Ariel Atom took home a 2nd place finish in the Canadian Automobile Sport Clubs - Ontario Region (CASC-OR) 3-hour endurance race over the weekend! Statement from the team: "Second Place Finish for Team Roadsport Ariel Atom Saturday. Went from a 7th place start to 2nd by corner 2. The Gt 1&2 cars caught us on the back straight. We lead our Class for the first half hour and the Ron Fellows Team Camaro got by us in traffic. I started the race and Daniel Bois took over on our Fuel Stop and did a great Job to our 2nd place finish. This was the first Canadian Race for the Roadsport Ariel Atom Team." 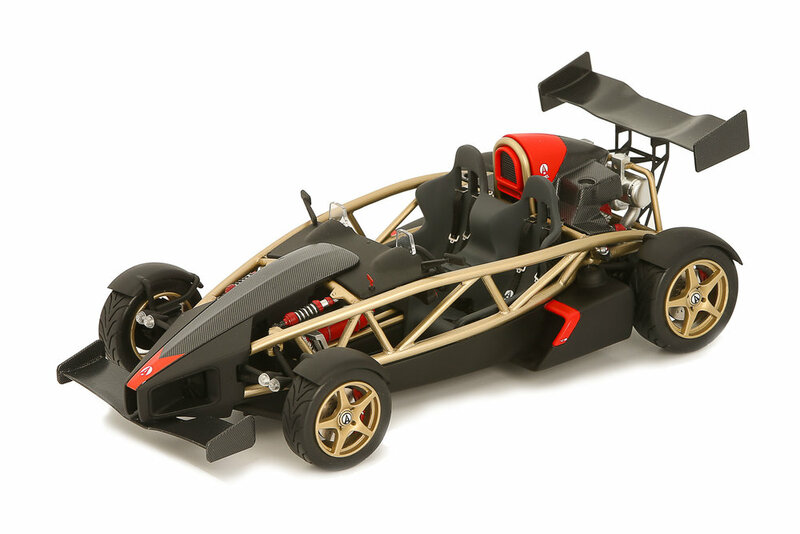 Ariel Atom 3R Pictures Released! I am in a unique, some say lucky, situation where I have access to our full Ariel line up for driving on a regular basis. Now don't get the wrong impression, this is not joy rides and cruising for looks down Main Street, it is generally traveling to/from car shows, events, or testing. 99% of the time I'm behind the wheel it is work related (pinky swear...). Given this opportunity - I have seen both oceans, driven through deserts/canyons/highways/byways/cities/towns, seeing the world roll by through the windshield of the exoskeleton design Ariel is known for. My rough calculations come out to putting a combined 15,000 miles a year on the odometers of Ariel Atoms and Ariel Nomads alike. Given my position, as Director of Sales for Ariel North America, I try to be as objective as possible... I've been hot, cold, wet, and sun burnt in my travels. Keeping in mind that this is territory that comes with open motoring, Ariel ownership can only described as an experience. I know "experience" can be somewhat of a cliche' these days with every company from Ferrari to Subaru offering an "experience".... Just take one look at the Ariel Atom or Ariel Nomad and you know every minute behind the wheel is going to be the "experience" you're looking for. Ariel bridges that magical gab between performance/driving dynamics/open motoring/exclusivity and outright fun factor then pairs it with reliability/low cost of ownership. Since the Nomad came online for North America a year ago, I have been asked which is my favorite to drive between it and the Atom. This is still up in the air for me. I have now driven on 10+ hour road long trips (including driving from SoCal to Monterey and back), attended countless car shows , and obeyed the speed limit on hundreds (if not thousands) of miles of back country roads in both the Atom and Nomad. My decision between the two leans towards the Nomad; this strictly due to my adventurous/curious personality. The Nomad's versatility allows it to not have paved roads dictate where you must go. In saying that - the itch for Hyper Car levels of acceleration is quickly relieved within seconds of wheel time in the Atom 3S... The Atom also has the advantages of quick & easy ingress/egress along with the perks of being asked "Is that the Atom Jeremy Clarkson drove on Top Gear?!?!" at every gas station. Looking back on the road trips, track days, dinner outings, video production sets, exotic car rallies, and Tens of Thousands of accumulated miles in an Ariel - I couldn't think of a better time I've had or car I would rather be in. Find Ariel Atom, Ariel Nomad, and Ariel North America on Twitter! We should be back online in a few hours, contact us at - info@arielna.com for fastest response! 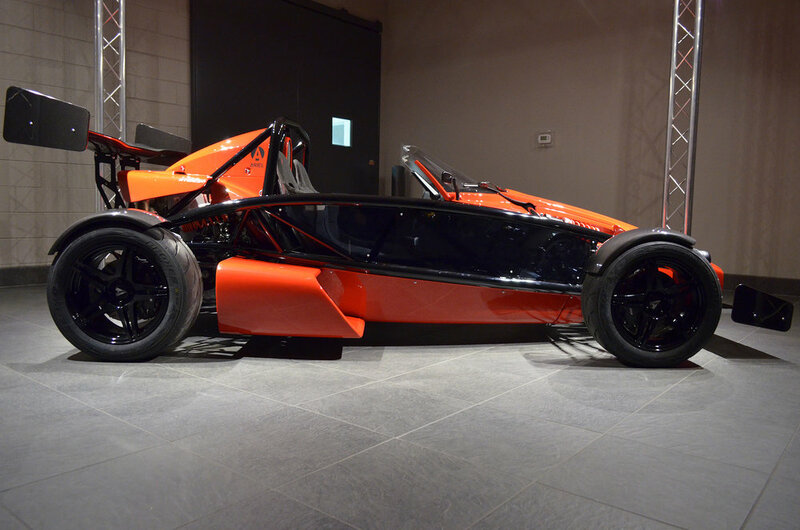 Checkout some shots of our latest Ariel Atom 3S build! This build includes popular options for the Atom 3S including the Carbon Wings and Premium Color Package - Pearlescent. 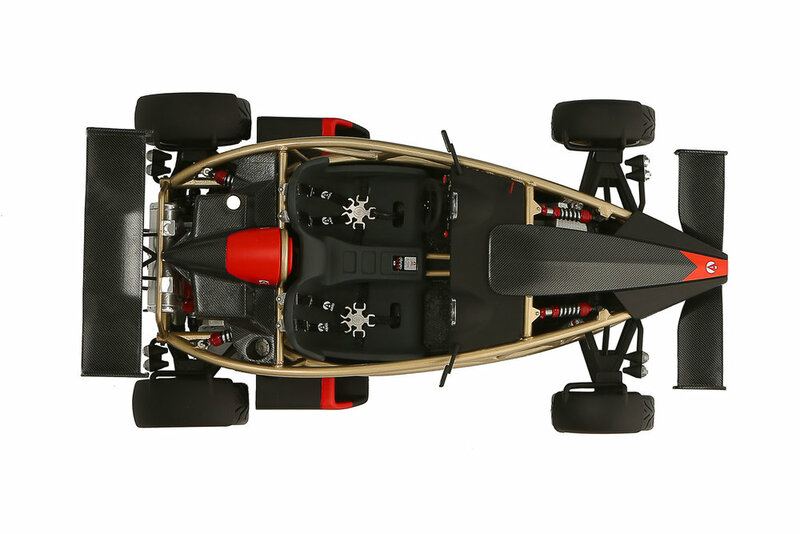 Contact us today to get started on your custom Ariel Atom build!